Many of you will probably know what an interactive flat screen is: basically, a giant smartphone or iPad. Okay, that’s that sorted! You’ve also probably heard the term ‘cloud computing’ but you might not know what it is, or maybe you haven’t grasped its meaning. 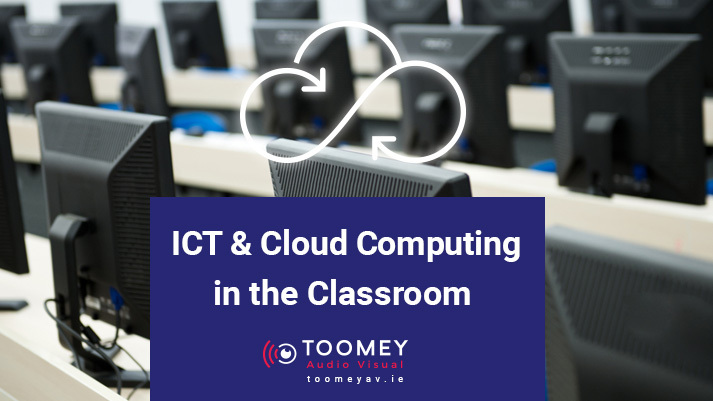 So, before we go any further with our inquiry into ICT in the classroom, here is an explanation of cloud computing. 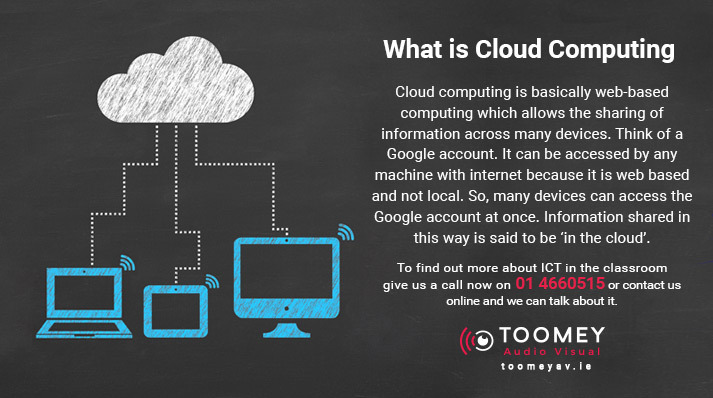 Cloud computing is basically web-based computing which allows the sharing of information across many devices. Think of a Google account. It can be accessed by any machine with internet because it is web based and not local. So, many devices can access the Google account at once. Information shared in this way is said to be ‘in the cloud’. 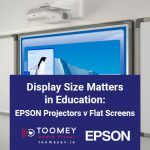 In the context of education, information is shared across the devices of pupils and the interactive touch panel, which is controlled by the teacher. 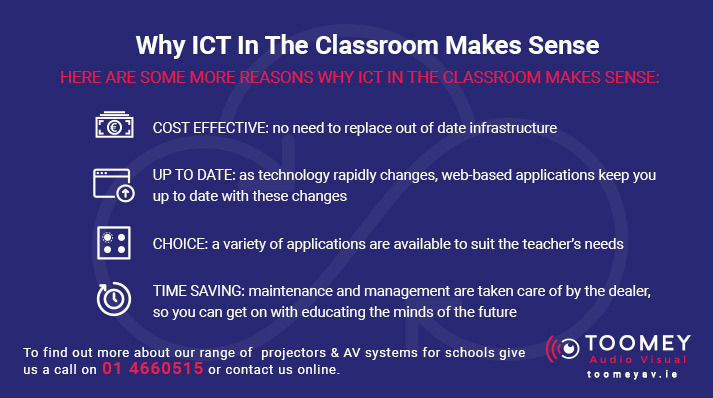 Many people associate the introduction of ICT in the general classroom with a waning of the traditional pedagogic system of learning in favour of a more pupil centred approach. This is not necessarily so. Traditional pedagogic practice holds that there should be a shared objective and that the teacher should have control over what is being learned. Cloud computing, by its very nature, facilitates this. The teacher focuses the class’ attention on the learning objective by means of the interactive flat panel. When used in this way, the IFS is merely the new black (and white) board and the pupil’s device is the new text book. On the other hand, cloud-based learning apps and ‘online learning environments’ allow for increased interaction and engagement by the pupil. They also allow for more differentiation in the classroom and they free up the teacher so that he can spend more time with pupils on a one to one basis. In other words, the learner centred model of education. The truth is that cloud computing allows a marriage between pedagogy and the new approach. 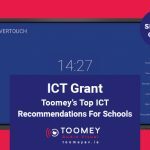 If you are still unsure about whether to invest in an IFS and adopt the cloud computing model, Toomey recommends that you contact other schools that have done so and find out how it has benefited their learning environments. Or simply give give us a call on +353 1 4660515 or contact us online and we can talk about it.